Earn 179 points to spend on future purchases. 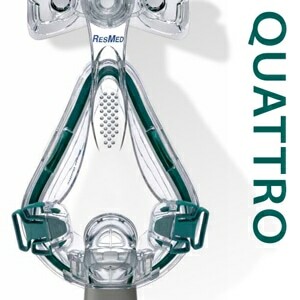 INVENTED BY A CPAP USER! ApneaPAP is a new "No Mask" CPAP interface from the inventor of the original CPAP Pro "No Mask". Like the original CPAP Pro, ApneaPAP reduces the sleep therapy interface to its most essential components with no straps, no headgear, and no face mask to cause leaks, soreness, pinching and discomfort. 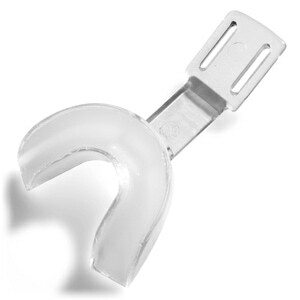 In addition ApneaPAP introduces a brilliant new Double Bite Mouthpiece that eliminates the need for full face masks and chinstraps; and improves sleep therapy effectiveness with mandibular advancement. When you're sleeping, the only part of the ApneaPAP that touches your face is the super soft Nasal Puff Pillows that inflate slightly to provide a gentle, leak free seal. Each setup pack comes with Standard pillows to fit most users, but Small and Large pillows are also available for a more custom fit. At the base of each pillow is an exhalation hole covered by a foam exhalation diffuser. Because the diffusers are soft and porous they disperse excess air away gently, without any noise or airstream to disturb your sleep. At the heart of the ApneaPAP is a unique Double Bite Mouthpiece, similar to those used by athletes in sports, that snaps onto the teeth during sleep. The ApneaPAP's mouthpiece holds the nasal pillows in precise alignment with your nostrils so you get no leak CPAP therapy regardless of how much you move, shift or roll during the night. Once it is snapped into place ApneaPAP will stay in place comfortably without the need to bite down on it; and if you want to take ApneaPAP off a bit of downward pressure on the mouthpiece will easily release it. Fitting the mouthpiece takes just a few minutes with a simple "boil n' bite" procedure that creates an exact custom dental impression that snaps onto your upper and lower teeth to hold the ApneaPAP in place while also keeping your mouth closed. With the ApneaPAP in place you won't have to worry about reduced therapy effectiveness due to mouth leaks; and you won't have to deal with the hassle of hot chinstraps or bulky full face masks! In addition to keeping your mouth closed the ApneaPAP's Double Bite Mouthpiece can be used to move your lower jaw slightly forward during sleep. This "mandibular advancement" is a well known, proven method for freeing up the airway during sleep to help reduce airway obstructions and enhance CPAP therapy. Most people find that the ApneaPAP is very easy to sleep with and get used to it right away, for others though it may take a few nights or even a few weeks to get used to... stick with it until you get a great night's sleep and you'll be glad you did! In the Package ApneaPAP "No Mask", Double Boil-n-Bite Mouthpiece, One Pair of Corrugated Breathing Tubes, One Pair of Standard Nasal Puff (Pillows) to fit most users, Two Pairs of Green Exhalation Diffusers, Thermometer (for boil-and-bite mouthpiece), and Printed User Guide. Standard Boil N' Bite Mouthpiece for CPAP Pro & ApneaPAP "No Mask"
I have been using the CPAP Pro II for about 8 months. As several have stated in the good reviews, I too was looking for a way to reduce the marks on my forehead from a traditional mask. And from the bad reviews, was concerned about the teeth with prolonged use of this mask. Additionally my dermatologist is suggesting a full face cream for pre-cancerous cells and I cannot see wearing a full face mask and using a cream that will make my skin break out. The trick: So when I formed the mouth piece, I decided to made sure I was laying down before putting it in my mouth to conform to my teeth. This allowed for a more natural sleeping position of my mouth when molding the mouth piece. I don't wake up with any mouth/teeth issues after sleeping with the CPAP Pro II and all the marks on my forehead and cheek areas are gone. One additional note, my pressure on my auto adjusting CPAP machine dropped about 1 PSI and I fall asleep much faster than with my traditional full face mask. I would highly recommend this mask making sure you consider my thoughts when forming the mouth piece. I have only used a full face mask prior to trying the cpap pro II. I got tired of the marks the full face mask left on my face and how tight I had to have the headgear. I was also breathing through my mouth and wanted to eliminate that. The cpap pro II forces you to sleep with your mouth closed and sends the air directly where you need it. Has only taken a few nights to get used to it and be able to wear it all night. The mask is comfortable and I can use a lower air pressure compared to the full face mask. It takes a little getting used to wearing the mouthpiece but I’m glad I tried it out. I was really excited about even spending the 159.00 dollars on this mask since it had no head gear which has been my biggest problem. I want go into all the detail full head gear causes, all of you know it by now which is why your probably looking at buying this product as I did. I went by the directions and boiled and form the mouth piece properly. Wore the mothe piece fo a while to break it in. Tried it for 2 miserable weeks. Their was air continuously seeping from the mouth price no matter which position I layer in. This killed the product for me. No way I can sleep with air seeping out my mouth. The pads did seal go my nose properly and is was great not to have straps and head gear everywhere, but imagine air land siliava leaking out you mouth all night.. no way you can sleep. This was a huge disappointment! I really thought the mask was going to solve all my problems. I purchased 2 items on my order, one was excellent and the other was a total joke/rip off. The mask was a total piece of junk. The mouth piece was made for about a 12 year old kid. Half of it would only cover the inside half of my teeth. I tried to make it fit, but it would not. 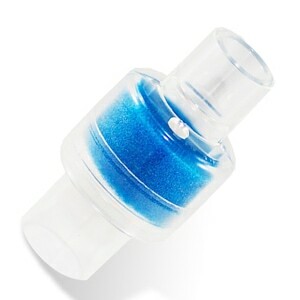 I tried to use it when I took a nap, just to weak up with severe jaw pain. Been using this mask for many months now, I'm very pleased. 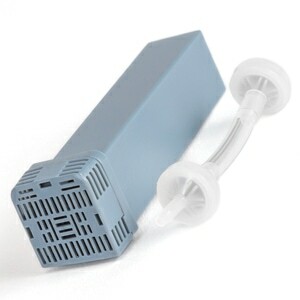 It is by far the best I've tried in the 9 yrs I've been on CPAP. AND Direct Home Medical is by far the best supplier I've dealt with as well. I've been a long time CPAP Pro user but in recent years I've had problems with mouth leak and apnea events. 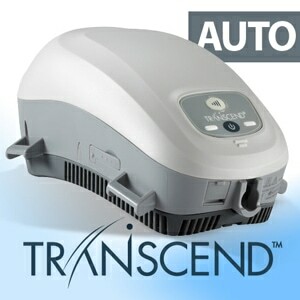 When I went to buy the CPAP Pro recently I found this and it's been a great help. It's my good old mask but with a new improved recipe!